Walk around the halls at Yeti and you'll find women who can tear your legs off on the uphill and mock you on the downhill. The SB100 quickly gained a reputation for its climbing ability and for how it descends. It's the bike of choice for those who race in XC or multi-day stage races. The geometry features a slacker head angle, so it's well-mannered and poppy on the descent, while the seat tube angle is steep, to keep you over the pedals and efficient when climbing. We redesigned the Switch Infinity mechanism specifically for 100mm of travel - it's light, and tucks behind the seat tube so we can accommodate a water bottle in the front triangle. Big days require big bottles. It's still light, but also right. 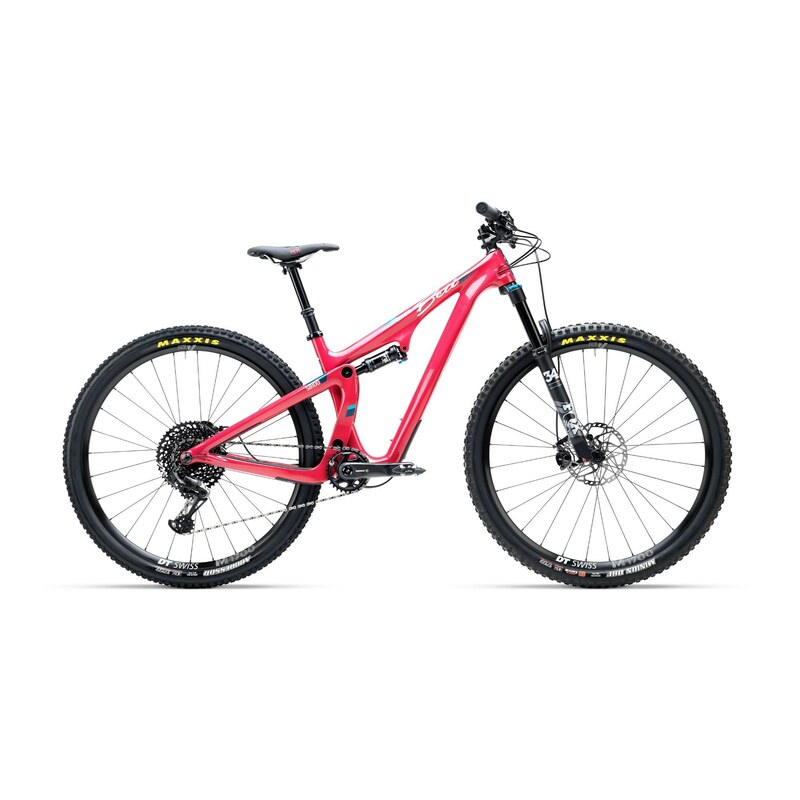 Of course, like all of our Beti models, we've custom tuned the suspension with a lighter rider in mind and run 170mm cranksets and WTB Deva women's specific saddle. Our Carbon Series bikes offer the same stiffness as the TURQ-Series, with a moderate increase in weight. The outcome is a well-spec'd machine that's easier on the bank account. Clean shifts come easy with the X01 rear derailleur and like all the other SB100 Beti models, we loaded this trail bike up with Minion DHF and Aggressor tyres from Maxxis and SRAM's new carbon X1 DUB™ 170mm crankset. Fox's new Performance Step-Cast 34 XC fork with 120mm of travel does the work up front and Beti-tuned DPS shock ensures traction on climbs and has full-send stamp of approval on descents. Shimano XT brakes give you the confidence to hold it wide open, knowing you'll have the control you need.